When I was 19, I had devastating betrayal by the man I was in a relationship with. Twenty years later, I still keep getting involved with men who are either unavailable or are already married, said Sabina, sharing with me her heartbreaking story of failed attempt to create a deep, long-lasting relationship. I would love to be in love but honestly said, I am too scared to trust anyone. 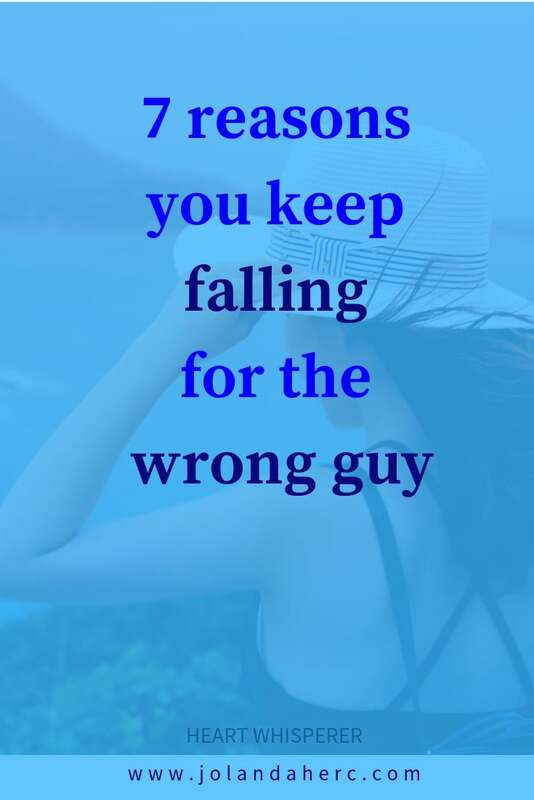 Let’s look at the reasons why you always choose the wrong man. Why you keep being attracted to men, who are not capable of returning you love or are already involved with somebody else? 1. It is not safe to love a man, any man. 2. If I really love somebody, he will leave me. 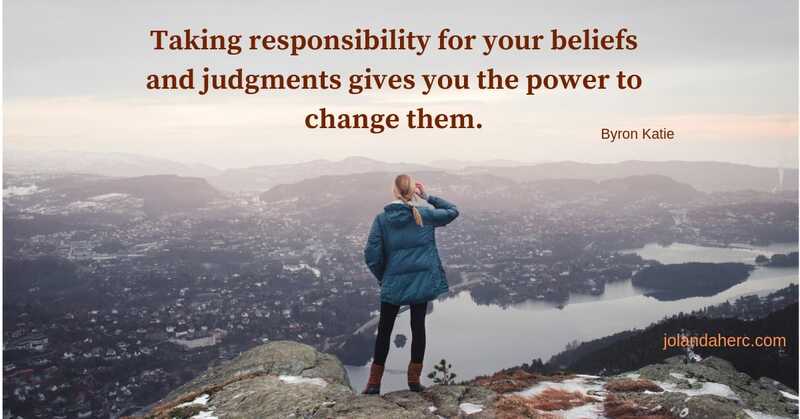 When you believe these thoughts, they create your reality. So instead of falling in love and having to face possible heartbreak, you rather attract men, who are unavailable. Because it’s not safe to love a man, you enter into every relationship with an almost closed heart. And only men that respond to such vibration are the men, who are the same. The men who are afraid of being to close to women or the men who could not fully love or be loved (for all kind of different reasons) in their current relationship. Then I asked Sabina if she would be willing to use a simple process 4 loving questions- The work of Byron Katie to release those believes and explore the real truth behind them. So we started with unveiling the story about her belief It’s is not safe for me to love a man. Is it true that is not safe for you to love a man? At first, her mind jumped with the answer that it is so, indeed. All kind of profs immediately shows up for her to confirm the story. But when I ask her to close her eyes and go inside and asks herself again Can I know that is true that is not safe to love a man, she was not so sure anymore. How do you react when you meet a man and you believe that is not safe for you to love a man? What happens? She put her hand on her chest like she was trying to protect her, get tense and share with me that she never let her guard down. I’m always attracted to guys, who are distant. When the guy is open and warm, I just feel no attraction. Or I thought that was about lack of attraction, she said. But when you asked me how I react, when I don’t feel safe, I started to realize that maybe is not about attraction but trying to protect myself to open up to someone who is available and open to love me fully. Who does this remind you of, that feeling of loving deeply and being rejected? My first relationship when I was 19. Oh, not just that. It reminds me of my father. He loved me and suddenly everything changed, his addiction and alcohol took him over and I was rejected by him over and over again. Tears were streaming down her face, while I hold the space for her to let emotions came to the open and get released. Here is the process that we use to release emotions. Sabina, who would you be in that moment without the belief that is not safe for you to love a man, any man? I could not imagine that. Then go back to your childhood, who you were before your father starts to reject you. Oh, I would be more content with myself, not so tense, not feeling constantly like something is missing inside me. And how would you see men, any man without the story that it’s not safe to love him? I would see that some are deeply wounded as I am, and some are worthy of my trust. What about the thought It’s not safe for men to love me, is that also true, or even truer? Could you find where in your life is that also true? Yes, after my father addiction, I start to ask myself if I am to blame for his addiction? What if I was the cause? Then it’s not safe for anyone to love me if I could be the reason for his suffering. I felt so guilty for a long time. That I was even afraid to love myself. I need to change before somebody loved me, that was the story that I grow up with in my head. Do you see where the other belief If I really love somebody, he will leave me came from? Yes, that’s the story of my love for my father. who were as unavailable and wounded as I was. I repeated the story over and over again. I was living the story of If I really love somebody, I will leave him. So for that not to happen, him leaving me, I never love anybody. That was the only way that I know how to protect myself from facing the feeling of being abandoned by my father again and again. Would you like to create a new story, I asked her. Her eyes were shining, she was willing to at least try, even though she admitted that she couldn’t imagine anymore to be loved. But that was understandable. When you live so many years with images of being unworthy of love, then it takes time to start creating different images of you in your head. 3. There is something wrong with me, I need to pretend and hide my true self. 4. I am not worthy of love. 5. The relationship is about hard work. 6. A relationship is about lessons to learn and grow thru them.